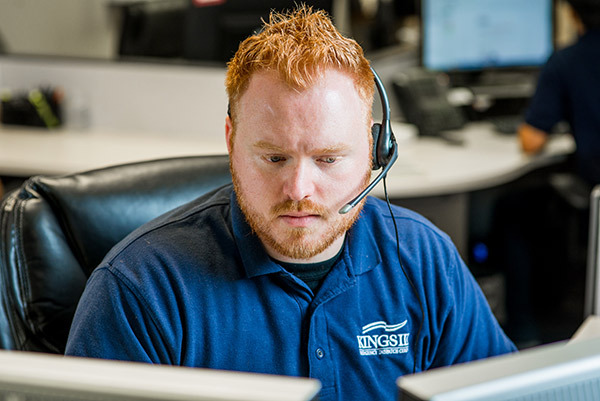 Kings III emergency monitoring puts service of the customer above all else. Learn from our VP of Client Services how we improve our services (and how you can too!) using the widely-used Net Promoter System. Most surveys can’t answer this question – Are we meeting your expectations? Today, through the magic of technology, you get surveyed constantly. Unfortunately, the typical form surveys don’t actually yield much in the way of helpful information. By ‘typical form surveys,’ I mean the surveys that ask loads of questions about every possible product or service you may have purchased- Well, every possible product or service except the one you actually bought! Even with all of the computer technology available today, most surveys are designed as big nets in which the surveyor hopes to capture something useful. I’m not saying that surveys cannot be better targeted, only that there are limitations to what can be done when resources and expertise are expensive and targeting data is inconsistent at best. Well, Kings III used to be exactly that vendor. We inconsistently surveyed customers asking for rankings of satisfaction on a 5-point scale and most of the questions were not related to the triggering reason that caused us to send the survey. As became clear in short order, we were not getting meaningful insight into the satisfaction levels of our customers for several reasons. We asked questions about services the customer was not familiar with. We asked too many questions. Customers found the survey took too long so they did not start it or only partially completed it. The survey was sent to person not associated with the reason for sending the survey. The survey did not give customer a way to provide additional details, good or bad, about their satisfaction. Is there a problem or not? And who should talk to the customer about it? 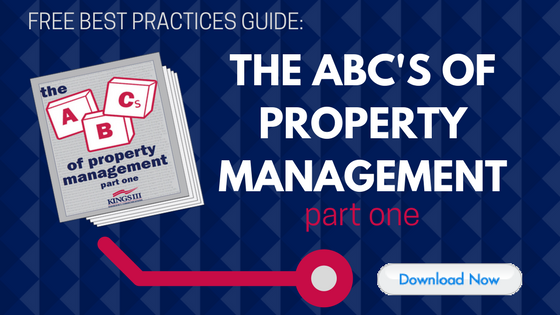 Most common survey formats are prone to these or a subset of these problems. What we needed was a simple way to enable our customers to talk to us about their experience so that we could understand their experience and take actions to make that experience and potential future experiences better. Why does the NPS work? Because of its simplicity! It asks the target ONE question about their likelihood to refer us to their colleagues. How can it be shorter?! 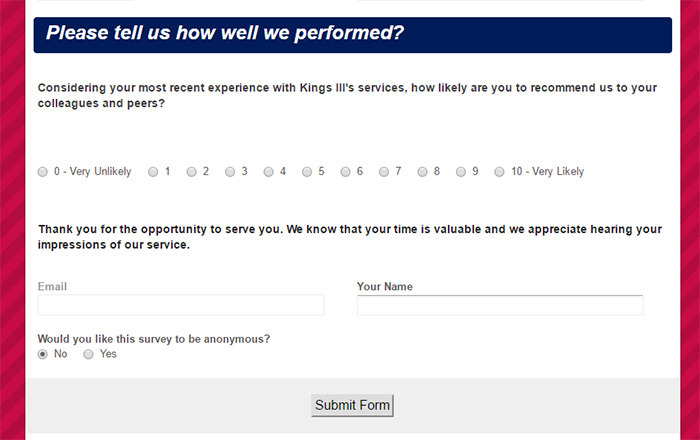 To find what category a customer may fit in, we simply ask you to rate on a scale of zero to ten how likely you are to recommend Kings III to your colleagues based on your most recent experience with Kings III. If you rank us as a 9 or a 10, we’ve identified you as a Promoter. Ranks of 7-8 are classed as Passives. Any rank from 0 through 6 is classed as a Detractor. If you tell us nothing more than the rank number, we can tell whether you’re happy or not, but here is the coolest part: After ranking us, you have the option to tell us more about the reason for your rank. Many people skip this part and that’s okay because we still have the rank to go by. But remember all those surveys where you wished you had a way to tell the company what you really thought? Well, this is your chance. Often customers tell us what they liked and sometimes they tell us exactly how we let them down. Idea: If you really liked or loved your most recent experience with us, please tell us what made that experience so special. Giving us a 10 tells us you are happy with us but it does not tell us why. It could be that what made you so happy was something you perceive as valuable but that we weren’t even aware we did. Maybe a technician was particularly helpful or your customer service rep actually asked how your day was going. Whatever it was, if we know about it we might be able to incorporate that action into every customer’s experience. After receiving a score comes an examination and outreach process that looks at the individual survey’s ranking and determines what needs to be done in response. This is where we act on your ranking. What if we receive a detractor score? When we receive a survey ranking us 0-6, the manager of the department receiving the ranking looks at the event that triggered the survey to understand what we did versus what we should have done. Then that manager or assistant manager reaches out to the customer to discuss where we missed the mark. Usually, this call happens the same day we receive the survey. Quick response is important because we want to be discussing any issues while the impression is still top of mind with the customer. The goal is simply to acknowledge where we fell short and to take actions where we can to make it right. What if we receive a passive score? We don’t simply pay attention to the Detractors. There is a lot to learn from Passives too. Sometimes, something that may appear insignificant to us is just the thing to drop a ranking of nine or ten buy a point or two and creating a Passive rather than a Promotor. So, just like with Detractors, we reach out to Passives to see what we can learn. Generally, supervisors reach out to Passives to see how they can improve their team’s delivery. What if we receive a promoter score? With Promoters, especially when they have taken the time to tell us what they loved, we reach out to make sure we understand what made that experience special. This way we can try to incorporate those special touches as our standard practice. Now, the last piece of the NPS puzzle…the actual NPS score. One benefit of NPS scores is that they can be easily compared: across industries, against other companies or even to past performance within your company (i.e. Quarter 2 vs Quarter 1 or this year versus last year). This is because NPS scores are always calculated the same way. How it’s done: Take the total number of responses that ranked as Promoter and divide that number into the overall total responses to determine the percentage of responses that are from Promoters. Repeat the process with the total responses that were Detractors. Lastly, drop the percent signs and subtract the Detractor number from the Promoter number. The result: your Net Promoter Score. The higher the score, the better the result. You may be asking what happened to the Passives. Because of their neutrality, they are not included within NPS calculations. This does not mean that these scores are not important. It pays to try to move Passives into the Promoter category, because this will increase your overall score. This is why Passives are still considered and dealt with individually. Interestingly, Passives have the shortest distance to move to reach Promoter and often have the easiest issue to solve. Now drop the percent signs and simply subtract the Detractor number from the Promoter number. 72.5 minus 11 equals 61.5. So, the Net Promoter Score is 61.5. This would actually be a good score. Note that this is not a 0-100 scale, so you do not look at this like a letter grade in school where 90-100 is an A and 80-89 is a B and so on. The NPS score can even be negative (which would be a really bad score), but it can’t be higher than 100. Remember that you always subtract the Detractors from the Promotors and not the other way around. Okay, now for the moment of truth. Kings III, you talk a big game. What’s your NPS Score? 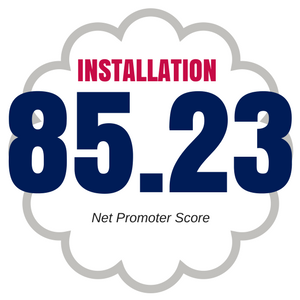 When we started using the Net Promoter System to survey our customers, our first quarter Installation NPS Score was: 61.6. The Maintenance NPS Score was: 54.6. Overall, these numbers weren’t bad, but we had a lot of Passives. We wanted to do better. So, have we learned anything to improve our delivery and therefore create more happy Promoter customers? You tell me. What does all of this tell you? Hopefully, it shows you just how important it is to us that we make our customers happy. 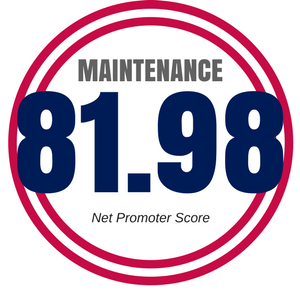 In the span of just over two years, we have materially improved both NPS Scores and now we have an even higher percentage of Promoters and a lower percentage of Detractors. Our scores are now on par with some of the best companies in the USA. It really is possible to learn from a survey how to better meet customer expectations. The key to success consistently measuring and actually following through on efforts to improve based on customer feedback. It is not always simple or easy and it does require resources, but it is vital to us that we hear from our customers and continually improve because of them. Our employees are now focused on exceeding customer expectations and they are truly excited to see our NPS Scores rising as this is a tangible measure of the fruits of their efforts. In the end, it really is about delivering excellence. Our customers appreciate it. They talk about us positively and the results are that we have more referral business than ever before and our customers are happier with their relationship with us. We all know that happy customers can be customers for life. Thanks for helping Kings III become the company you are proud to talk about. To learn more about Kings III’s above-par service and commitment to excellence, visit www.kingsiii.com. Kyle Hamilton heads the Client Services group and is entering his seventeenth year with Kings III.